The Castle was built in the 14th century as part of protection to central Slovakian mining towns and the trade route running along the Hron. Renaissance fortifications were added to the older Gothic part of the Castle. 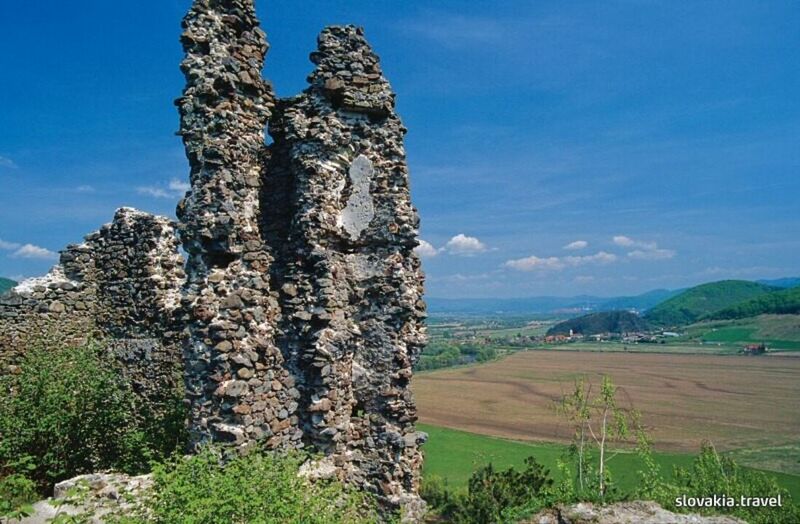 Mercenaries of the rebellious magnate Imrich Thököly conquered the castle and converted it in ruins in 1678. Only some Castle walls survive.